A Pilgrim’s Guide to Abbeys and Monasteries in the Netherlands and Belgium presents 34 of the finest monastic communities in the Low Countries. Over the course of one-and-a-half years of extensive travel throughout these countries, I visited over 80 abbeys and monasteries, exploring these unique and intriguing institutions. I was born in the Netherlands, and while researching this book, I became fascinated by their long and tumultuous histories and deep traditions still in existence. Some of them are almost 900 years old! Built to signify the grandeur and perfection of God, the abbeys and monasteries are architectural marvels of design and construction. Their locations, often tucked away in the hills, vales and quiet forests of the countryside, are worth a visit in their own right, affording extraordinary beauty and stunning views. Spending just a day or several nights at an abbey or monastery can be a transformative experience. These sanctuaries, frequently walled off from the world, are bastions of contemplation, community, and ritual. It is a gift to witness and participate in the profound lifestyle of these centers of monastic life. Monks and nuns do more than just read and pray, however. They also make special products like the world-famous Trappist beers and other abbey beers, cheese and candles. These products can be bought in abbey shops or visitor centers. For an excellent initiation into the monastic communities of the Netherlands and Belgium, I have several recommendations. In the Netherlands, travelers will enjoy Koningshoeven Abbey, world-famous for its Trappist beer, La Trappe, brewed by monks for over 130 years. These beers can be enjoyed on the large patio next to the abbey. Retreats in the abbey are possible, but it is advised to book a stay far in advance. The nuns from Koningsoord Abbey, once in the same town as the monks, moved to a newly built abbey in 2009. It is an architectural masterpiece, modern though simple and practical in design. In the east of the Netherlands, you will find Saint Willibrord’s Abbey together with the 17th century Slangenburg Castle (protected by a moat! ), situated in a beautiful forested area. Both the abbey and castle are open to retreat guests, but the impressive and stylish castle attracts the most attention and offers a more informal experience. Once inside, the grand interior design and furnishings take you back to a time centuries ago. 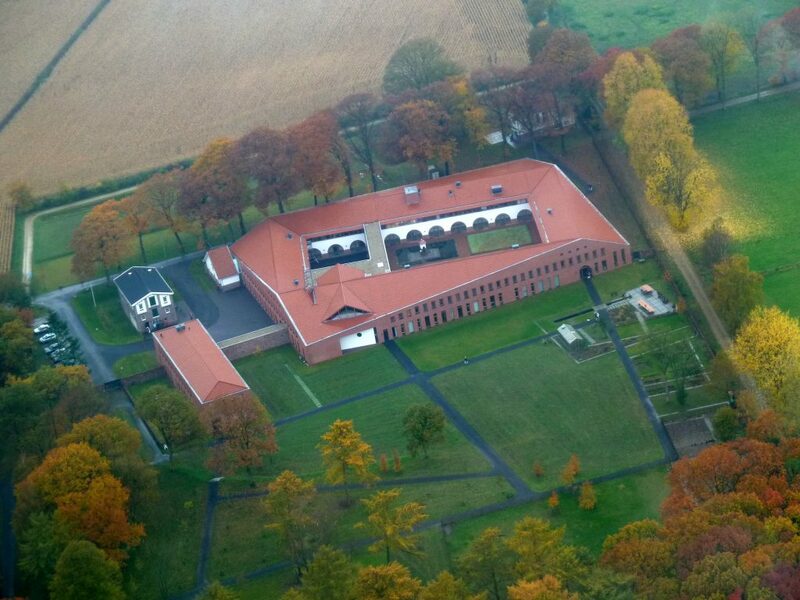 In Belgium, you should definitely visit Tongerlo Abbey, founded in the 12th century, if only for the magnificent 16th century reproduction of da Vinci’s The Last Supper in the nearby da Vinci museum. It is in much better shape than the original in Milan, Italy, and mind-blowing to behold it in its true size: twenty six feet wide and thirteen feet tall. The nearby Averbode Abbey also provides a wonderful experience. An impressive sight, it is located on a hill position and surrounded by lush forest lands. Most visitors will find their way to the experience center, Het Moment (The Moment), where one can purchase Averbode products, like the local abbey beer, cheese, and different kinds of bread. 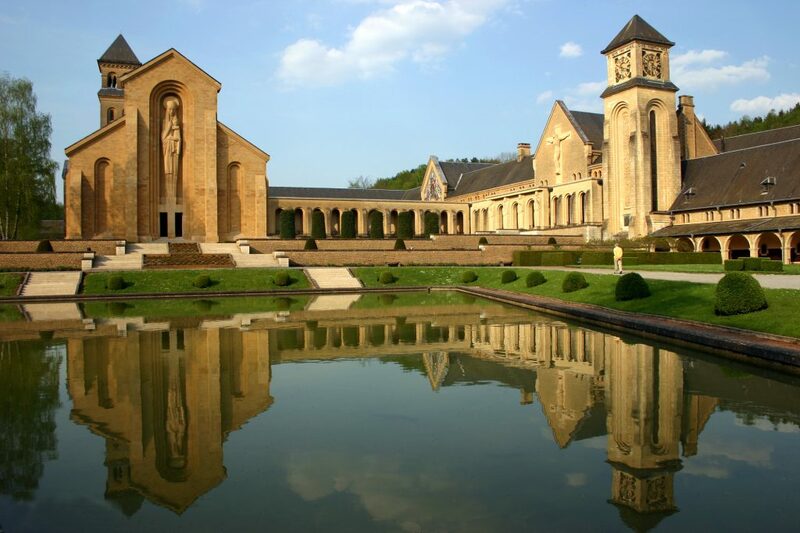 Another beautiful abbey is Orval Abbey, known for its Trappist brewery. The name, Orval, is derived from the French words val d’or and means ‘golden valley’. It is indeed a lovely spot in the Ardennes forest, near the French border. The new abbey, with its spacious courtyard, triangular pond, and the massive stone statue of Mary and the Christ child, attracts attention. The 18th century ruins from the former abbey are fun to walk through. The pilgrim’s guidebook offers all you need to know to make an informed choice to visit abbeys and monasteries in the Netherlands and Belgium. It is possible to visit several in a short time since the distances between them are often short, and they are usually easy to reach by car. Sometimes you will find two or more in one town. The bigger abbeys have visitor centers, with an abbey shop, museum and cafe with patio. It is a worthwhile experience to visit these monastic places with such impressive histories and and rich traditions. A Pilgrim’s Guide to Abbeys and Monasteries in the Netherlands and Belgium is available from Amazon, in both a Kindle edition and in black-and-white or color paperback editions.